100% raw, unheated, unfiltered and packed in glass jar.Fresh from Watsonville, CA's blackberry field..
100% Raw, unfiltered local honey. Buckwheat honey is very rich containing one of the highest qu..
100% raw, unheated, unfiltered and packed in glass jar.Produced from the orange groves of Fresno, CA..
100% raw, unheated, unfiltered and packed in glass jar.A Sigona's exclusive! 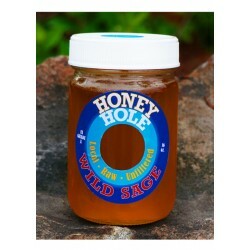 Locally harvested from ..
California Honeycomb100% Raw, Unheated and UnprocessedPure Sage HoneyExcellent Quality..
California Honeycomb100% Raw, Unheated and UnprocessedExcellent Quality..
100% raw, unheated, unfiltered and packed in glass jar.Harvested locally from Los Gatos Mountains, C.. 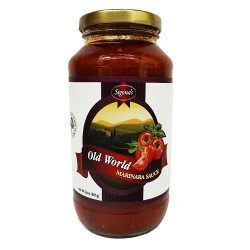 This is what our customers call "the best marinara in a jar." 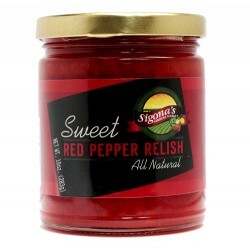 It's made fresh using fresh, loca..
Our Sigona's sweet red pepper relish is one of Sigona's most popular treats. It's delightful mi..